Merry Christmas and Happy Holidays to everyone! 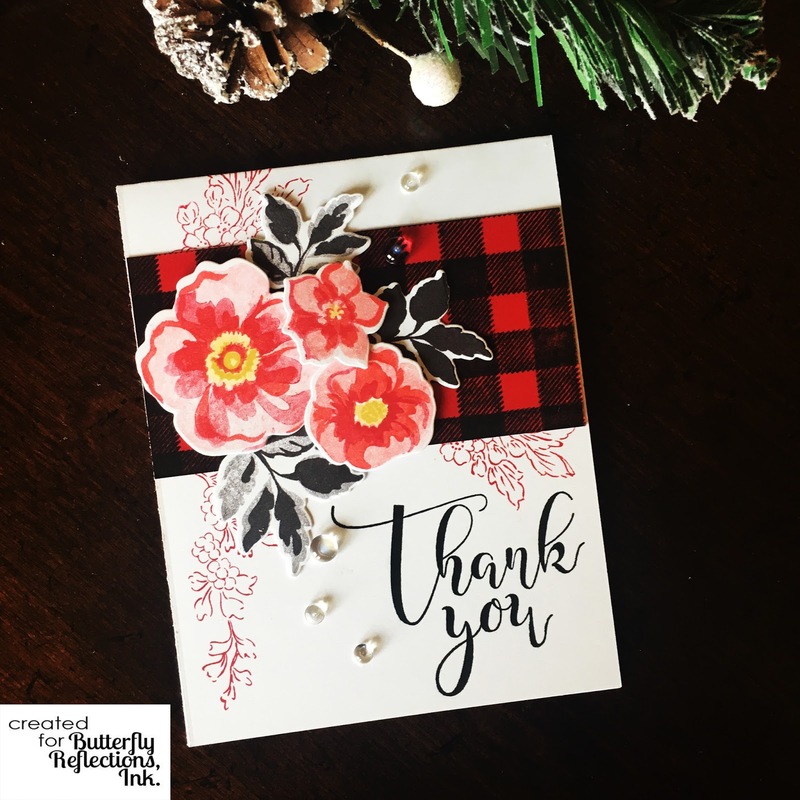 It's Jacquie here on this Christmas Day sharing a holiday Thank you card. 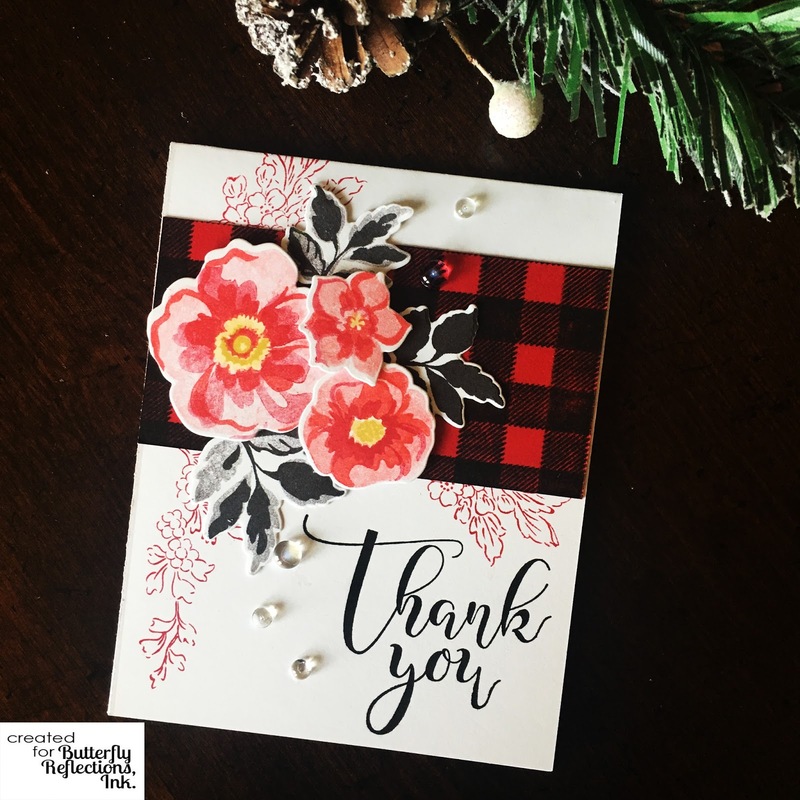 This will likely be a thank you I send for a Christmas gift, I wanted it to have a seasonal winter feel to it, so I used Concord and 9th's Perfect Plaid stamp. 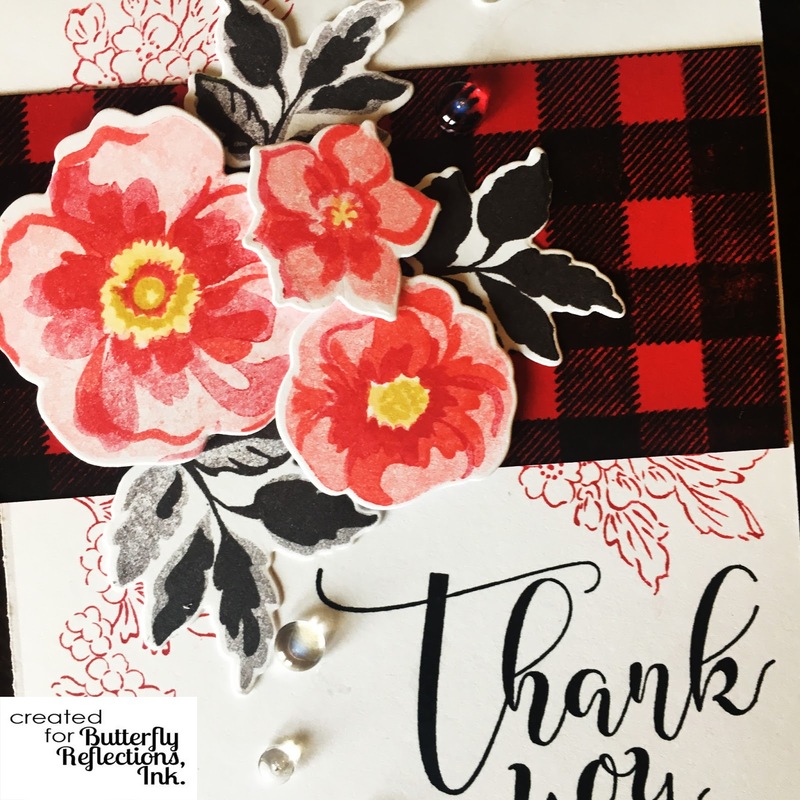 I simply stamped it in black ink on red card stock to create that fun buffalo check. I trimmed it down for this card and used it as a backdrop. The flowers and greeting are from a new Altenew layering set called Flower Arrangement. I am in love with that font...isn't it gorgeous? I did mostly second generation stamping to lighten up the flowers and make them more subtle. I used the coordinating die set to cut them out and make a cute arrangement on my plaid panel. I also added a little berry accent stamping with one of my all time favorite sets Altenew Beautiful Day. 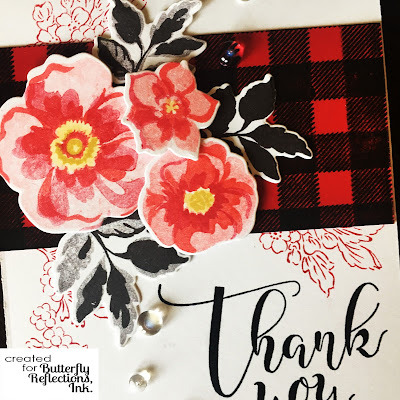 I finished it off by stamping the greeting and adding some clear droplets from Pretty Pink Posh. Be sure to check out the store (big sale ends today!) Lots of goodness for sale in there! I also want to mention that this is the final post for my Design Team term here. I have really enjoyed creating something for you all every week, and I will pop in from time to time to share. Thank you so much for reading and supporting me. Merry Christmas and Happy New Year!